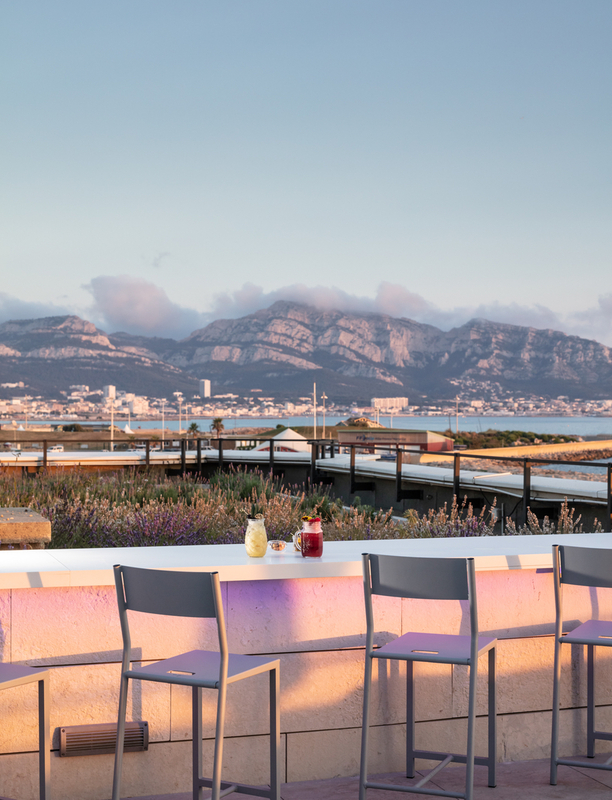 The joy and chaos of France’s second biggest city is reflected in the interiors of Marseille’s nhow hotel, designed by a team including architect Teresa Sapey. 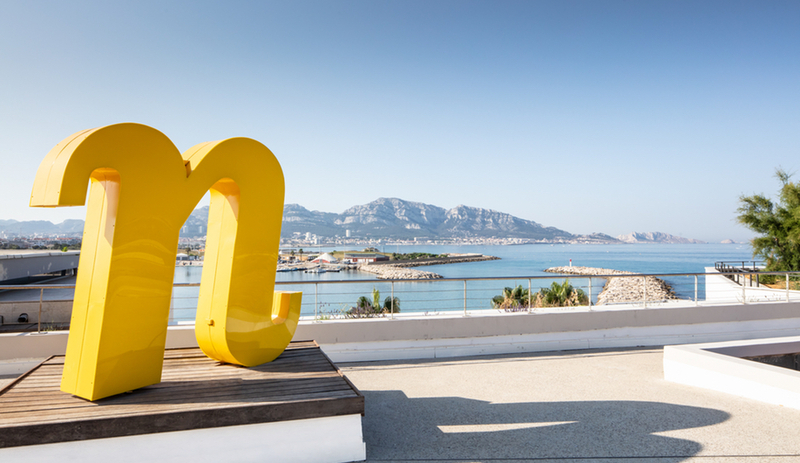 What comes to mind when you think of Marseille? The sea, for sure. Maybe graffiti art, with which the port city is plastered. And sardines? 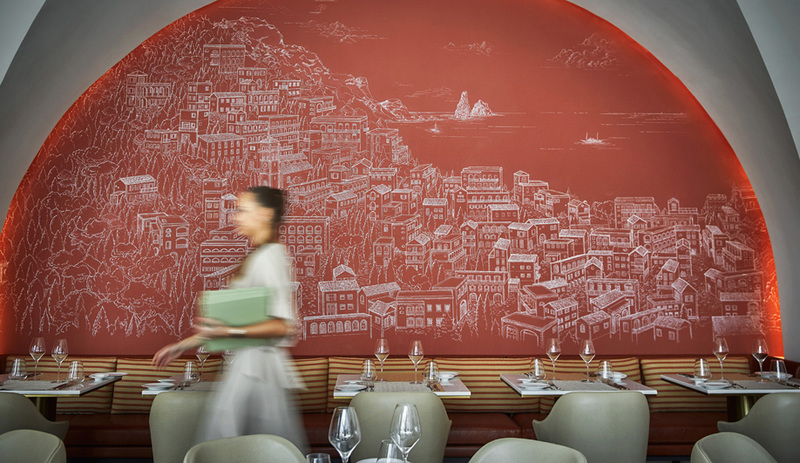 Any foodie who has visited Marseille will nod in recognition. 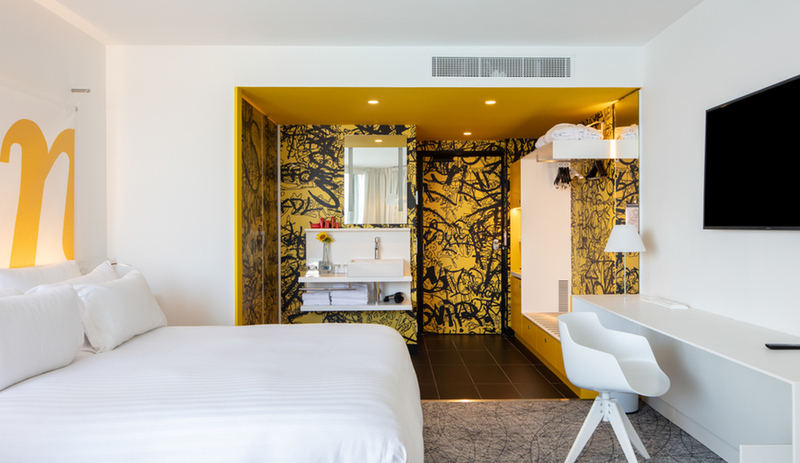 All of these elements and more are referenced – directly and otherwise – in the design of nhow Marseille, a 150-room hotel that opened in September on the city’s waterfront Corniche. Make that re-opened. 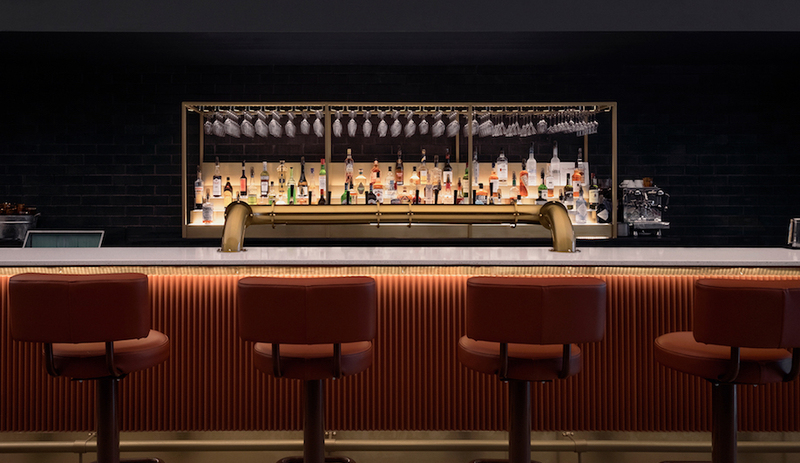 Until last year, the property had been operating as an NH hotel, but was rebranded by its owners, the Société Hôtelière du Palm Beach, as a nhow hotel, one of the NH Hotel Group’s mini-chain of properties designed by star creatives. 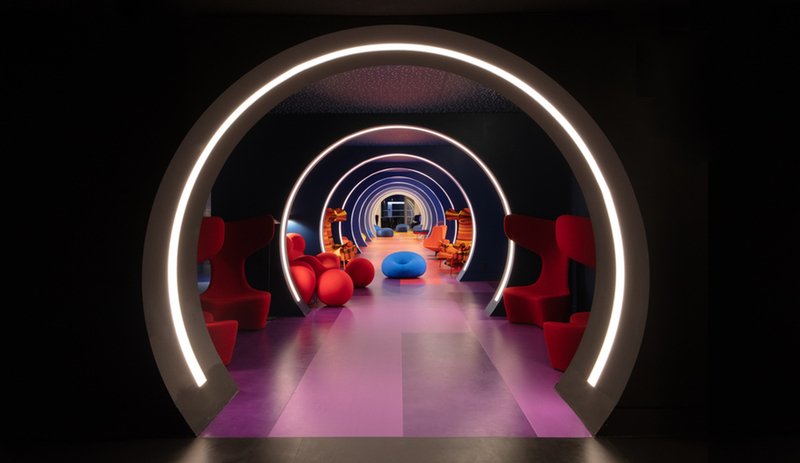 Among the architects and designers who have worked on previous nhow hotels – Marseille’s is the fourth in the rollout – are Matteo Thun (who oversaw nhow Milan), OMA (Rotterdam) and Karim Rashid (Berlin). 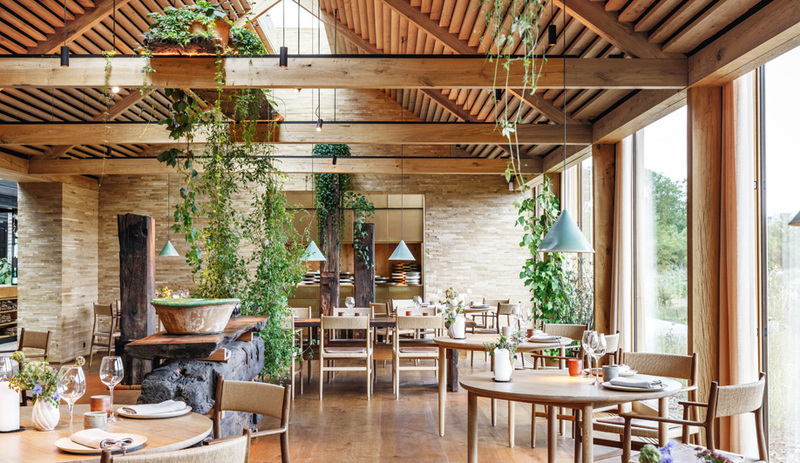 For nhow Marseille, local architects Claire Fatosme and Christian Lefèvre were commissioned to oversee the refurbishment, while Madrid-based Italian architect Teresa Sapey was enlisted to reimagine ground-floor common areas, including a terrace, a restaurant and two high-traffic bars. 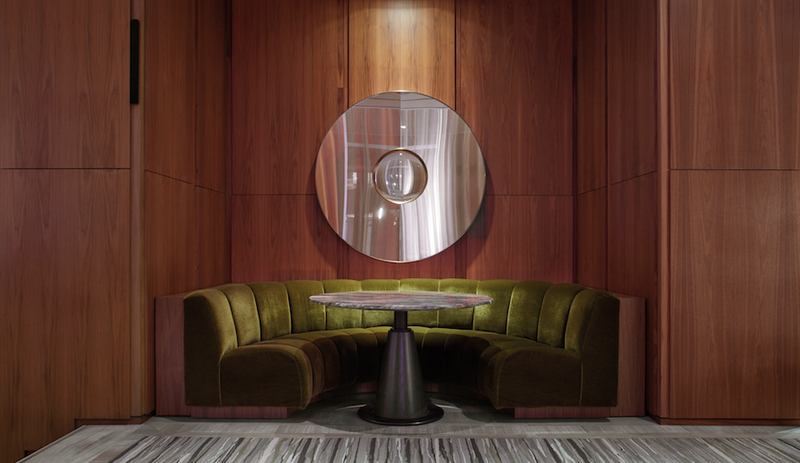 The trio’s mandate, overall, was to fashion a property that’s “authentically Marseille,” both “iconic and inspiring.” “I attempted to layer the contradictions and energy of Marseille into the hotel’s identity,” says Sapey, whose ground-level contributions include the invitingly sunny Cactus Bar and the glamorous Tunnel Bar. 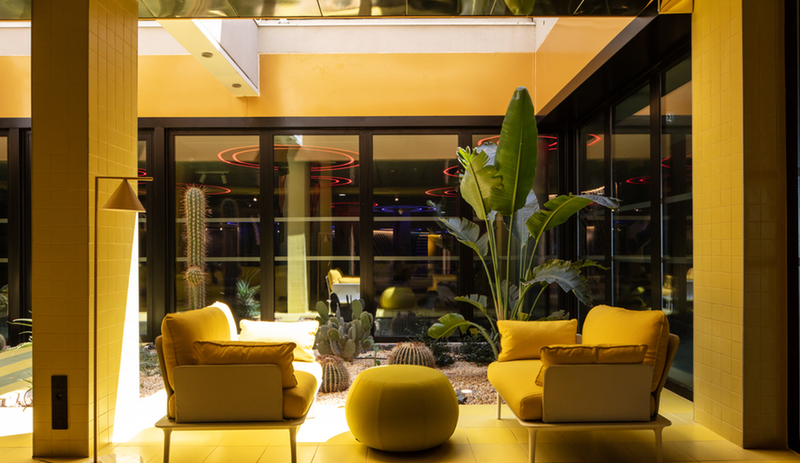 In the former – intended to evoke “the exotic gardens of the Mediterranean coast” and announce “the Provençal sun” – the architect installed a bright yellow seating area complete with matching tiled floors and an indoor garden studded with succulents and other plants. As in Marseille proper, however, the sea isn’t far away: In a nearby hall, pillars are adorned with images of swimmers and divers coursing up to (and through) the ceiling, while carpeting in shades of blues and greens form an appropriately watery base. It “looks like an enormous submarine platform under the Corniche’s rock,” says Sapey. 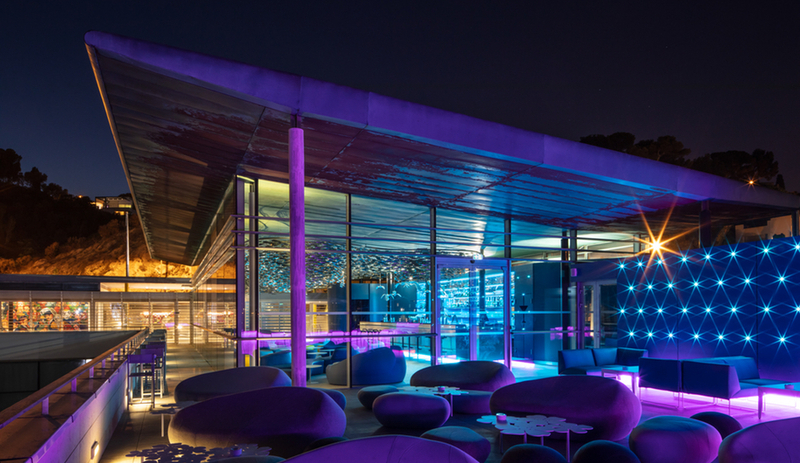 The Tunnel Bar, meanwhile, is located between two areas of water: the fresh water of a natural spring in the building’s spa and the salt water of the sea into which the spring flows. 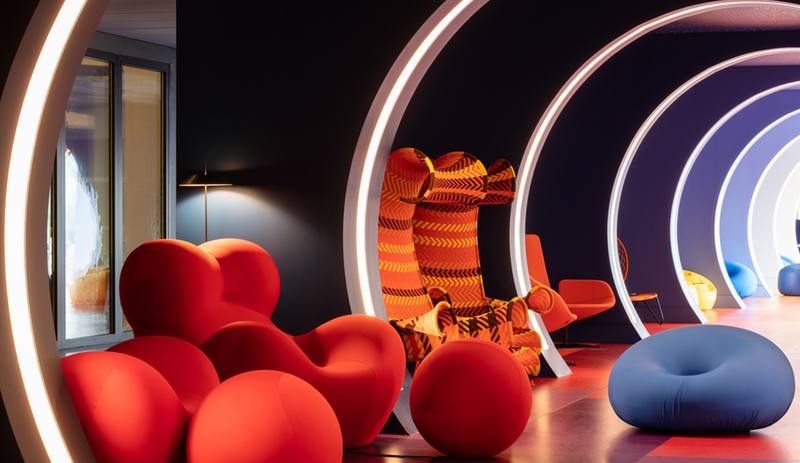 For this passage “between shade and light, coolness and heat,” Sapey created a dramatically illuminated arched corridor dotted with iconic seating such as Gaetano Pesce‘s Up chair for B&B Italia and Tord Boontje‘s Shadowy armchair for Moroso. The shapely, colourful pieces are anchored by flooring in various shades of purple.